I love a good pattern. So it’s no surprise that quilts fascinate me. A well-made quilt contains patterns within patterns. At first glance, one sees the big picture: the interlocking circles of a Wedding Ring, or concentric diamonds on a Log Cabin quilt. Up close, new patterns reveal themselves in the structure of each block, and in fabrics chosen for color and contrast. Let me be clear. Though I can apply the Pythagorean Theorem and play a major scale, I have zero desire to make a quilt. Three times have I tried, and failed, to master the sewing machine. Quilts are fine art to me. Art and warmth, if I’m sleeping in a certain guest bed in rural Iowa. 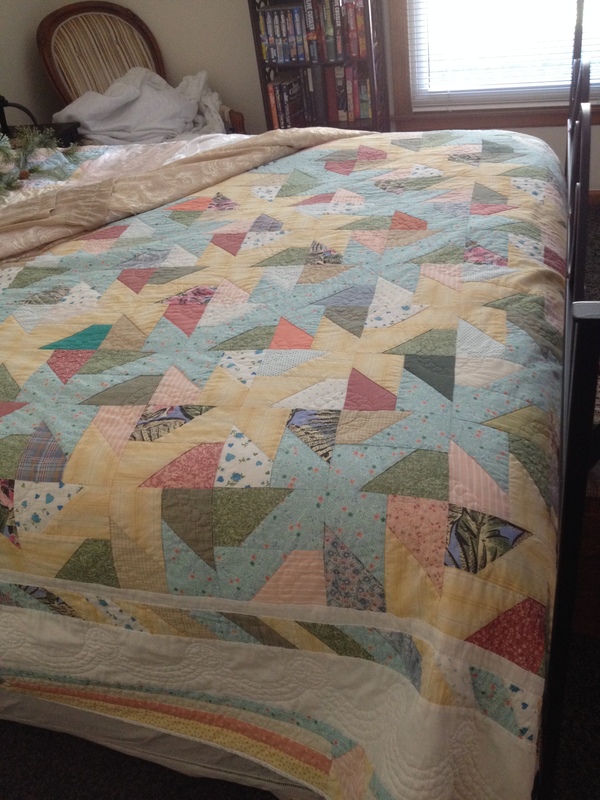 Julie loved to sew, so she was invited to take a class in Amish quilting, she happily agreed. “If it’s Amish,” she reasoned, “I won’t need to lug my sewing machine around.” Boy, was she wrong! But she enjoyed the class. Once she learned the basics of her craft, Julie joined a quilters’ guild. 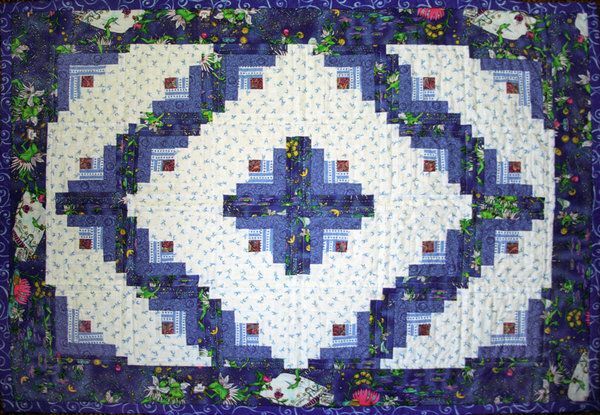 For several years, she created items for various purposes, until one day she felt God calling her to give her quilts away. Now she gives her creations to people in need, and has recruited several other quilters to her cause. They donate most of their quilts to Eleos Coffee House, a business and ministry in the Northeast neighborhood of Kansas City. Eleos gives them away to people in need. Julie thinks of her quilting as a form of worship. She places each stitch with gratitude to God for his good gifts: for skill at her craft, for the beauty of color and print, for time and space to create such loveliness. For she knows that her quilts, with their pattern upon pattern, are but a dim reflection of the Divine Pattern, that is the plan of God.